Lahore: The City Museum (Tollinton Market), which was scheduled to open for public in September, has still not been opened. Culture secretary Ashfaq Gondal told Daily Times on Friday that a meeting to be held on Monday was expected to discuss the delay in the opening of the museum. Museum director Faqir Saifuddin had presented a plan that had almost, but not yet been finalised. Saifuddin, a former member of the museum committee, had proposed making the museum a place that would “educate the younger generation about the history of Lahore”. He said the museum’s aim was to teach visitors more about Lahore and give them a certain “level of satisfaction”. The plan stated that the museum would be divided into three major segments. The third would have 14 sub-sections, which would be 14 chapters of Lahore’s history. The first sub-section would narrate the history of Lahore through the ages. The second sub-section would display the old Lahori lifestyle and the traditional games played here. The third chapter would be named ‘Historical and Important places of Lahore’ and would feature documentaries on various historic places in the city. The fourth chapter would be titled ‘Sufi Saints of Lahore’ and would have information on 500 Sufi Saints with links to the city. The officials said a second plan had been presented, but that too had not been finalised. The plan proposed dividing the museum according to various ages in the history of Lahore. Tollinton Market was constructed in 1864 as a temporary building to hold exhibitions of industrial arts. Later, it was handed over to the Lahore Municipal Corporation. Since 1894, it had been used as a vegetable and beef market. 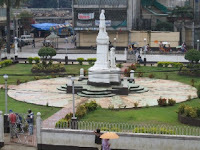 In 2004, the market was renovated and renamed City Museum. World-renowned Turkish musician and DJ Mercan Dede has announced his retirement from the music business. His new album, due out in October, will be his last, following 15 years of recording music. "I used to say whenever I start a concert and feel excitement like the first day, I'll keep on doing it," explains Dede during a break at a studio in Istanbul where he is working on the final release. "I do still have that energy, but I've been doing this a long time and I think it's important to stop and look at what we did. "The past 15 years was beyond my dreams. [But] it's like a painter who focuses only on where the brush touches the canvas. Sometimes you need to step back and look at the whole." Born into a poor family in western Turkey as Arkin Ilicali, Dede now divides his time between Istanbul and Montreal. He first travelled to Canada to study visual arts and developed a following there as DJ Arkin Allen before creating Mercan Dede more than a decade ago. 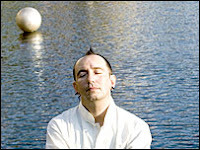 His music is an unique blend of traditional Turkish instruments and electronic sounds - one he is reluctant to categorise. Now central to his work, Mercan Dede first heard the ney - or reed flute - when he was a child. Enchanted, he carved his own from a piece of plastic piping and taught himself the basics. Through the music, he was introduced to Sufism and the teachings of Rumi - the 13th Century poet and mystic whose Mevlevi order is now most famous in the West for its Whirling Dervishes. This week marks 800 years since Rumi's birth, and Mercan Dede has just named his new album 800 after the man whose teachings are a powerful influence on his music and his life. Le Festival des musiques sacrées de Fès continue de faire l’actualité culturelle nationale. Après une 13ème édition très réussie en juin dernier et le départ de Naïma Tajmouati Lahbil en juillet, le retour de Faouzi Skali est annoncé. The Sacred Musics Festival of Fez [Morocco] continuously makes the national cultural topicality. After a very successful 13th edition last June and the departure of Naïma Tajmouati Lahbil in July, the return of Faouzi Skali is announced. Mr Skali will be Advisor to the Foundation Spirit of Fez, a position that will enable him to keep a close eye on all the activities of the Foundation while still managing his own agency “Parchments”, which is the organizer of the Festival of the Sufi culture. Very recently, Mr Skali created an academy of intercultural mediation which considers, in addition to the organization of cultural events, the implementation of new ways of resolutions and prevention of conflicts. The exploration of new approaches to communication, education and training is also within the menu. The Daily Tar Heel - Chapel Hill, NC, U.S.A.
Chapel Hill and Carrboro communities join the United Nations Educational, Scientific and Cultural Organization's celebration of "The Year of Rumi" by offering events that celebrate what would have been the Muslim poet's 800th birthday this week. The festival, called "Rumi Fest," did kick off at the ArtsCenter in Carrboro at 8:30 p.m. today [Wednesday]. The festival is a part of the Worlds Arts Festival that the ArtsCenter is hosting this year. The festival is a celebration of the life and works of the 13th-century Muslim poet Mawlana Jalal-ud-Din Balkhi-Rumi, whose teachings emphasize the use of music, dance and poetry as a pathway to inner peace. The poet's work plays a role in Sufism, a tradition in the Islamic religion. Some Sufis who follow the teachings of Rumi are part of an order known as the Whirling Dervishes.The Dervishes are characterized by the long skirts they wear during ritual prayers that involve spinning in circles with their arms raised. "The goal of Rumi Fest is to honor the living traditions passed on by the work of Rumi," said Rodrigo Dorfman, one of the festival's organizers, "and by living those traditions, we continue the spirit of unity and brotherhood and sisterhood, a very universal message of peace and humanity." First event "A Taste of Rumi; A Mystical Sampler," included poetry readings in English and Farsi. Islamic studies professor Carl Ernst did offer introductory remarks. But the presentations will not be limited to just poetry.The festival will include a variety of Islamic music, both traditional and modern, and a performance by the Whirling Dervishes. Workshops on sacred music, drumming and traditional movement will also be given throughout the week to spread knowledge of Sufi practices. By Trish Hollenbeck - North West Arkansas Times - Fayetteville, AR, U.S.A. It was a night people of different faiths and worship traditions reached out to each other in peace and understanding as the Institute of Interfaith Dialog conducted a banquet Tuesday at the Fayetteville Town Center. Every year during the Muslim holy month of Ramadan, the Institute of Interfaith Dialog, which has chapters in several other cities, organizes the dinner to celebrate diversity and recognize the richness of the community. It was the third such event in Fayetteville. Alp Erbem, a representative of the institute, explained that Ramadan is a time of worship and devotion to God, a time to read the Quran, and also a time for inner reflection, thanksgiving, giving to charity, selfcontrol and kindness. The holy month emphasizes community, and fasting is a key part of it, he said. The dinner Tuesday was organized to celebrate the breaking of the fast and share with others who have different faiths and traditions. “ Christian, Jew, Muslim, Shaman, Zoroastrian, stone, ground, mountain, river: Each has a secret way of being with the mystery, unique and not to be judged. “ Let the beauty of love be what we do. Iran’s Rumi week will be held from October 26 to November 2 to commemorate the 800th birth anniversary of Rumi, Tehran Municipality Art and Cultural Department Deputy Director Majid Sarsangi announced during a press conference. The “800 Years with Rumi” press conference was held on September 26 at the Honar Cultural Center to describe the cultural programs that will be implemented during Rumi week. During the week, Rumi scholars will deliver lectures, painting and photo exhibitions will be held, four plays will be staged on the theme of Rumi, a Masnavi-reciting session will be held, and Afghan, Tajik, and Iranian bands will perform five concerts, Sarsangi added. In addition, an international Rumi convention, in which scholars will present academic papers, will be held in Tehran, Khoy, and Tabriz, he explained. One of the policy makers for Rumi week, Seyyed Mehdi Qaderi, said that works influenced by Rumi’s character and writings will also be discussed during the event. 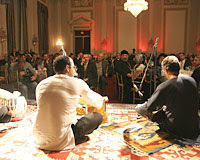 [Photo from: Irpedia, Office de Tourisme de l'Iran http://www.irpedia.com/site/]. Yo-Yo Ma is taking his Silk Road Project, which explores how influences from both East and West shaped modern music, to China. Ma's Silk Road Ensemble, a group of young musicians who play traditional instruments, will give concerts and workshops in Suzhou, Hong Kong and Beijing's Forbidden City. The tour starts with an Oct. 2 concert in Shanghai at the Special Olympics summer games for athletes with intellectual disabilities. The message of the Silk Road Project, celebrating its 10th anniversary next year, is tolerance and understanding of different cultural traditions. "Not just in terms of an informational way ... but also in terms of approach and the deep respect and spirituality for something," Ma said. The project explores the impact of the Silk Road itself, the overland route between China and Europe that helped transfer technologies and cultural practices into new settings. The ensemble will play Islamic music, Ma said. "If we play Mugham music, which is classical music of a lot of places including Azerbaijan, the art of Mugham music is not unlike the art of Indian music, which is meditative," Ma said. Ma sees connections between Asian music and classical music. Beethoven, like the Sufis, the mystics of Islam, is trying to reach a "moment of transcendence" in his music, Ma said. "You get to the first movement of Beethoven's violin concerto. You get to that moment where you break free. You earned it! ... You get to the divine! You get to the clouds! And that's what Sufi poetry and music tries to get to. Not so different," he said. Ma, who will turn 52 while on tour in China, has spent a lifetime straddling cultures. Born to Chinese parents in France, he moved to America as a boy and studied anthropology at Harvard despite his love of music. He started the Silk Road Project to explore the connections between musical traditions. The cellist combines his Silk Road work with a demanding international concert career. "This is not ideological. We're trying to just find out things. If we find something that has no connection to anything and it evolves on its own, that's great," he said. "But it seems to us so far that the more we dig, the more you find there are connections." With the 10th anniversary approaching, he's wondering how long he'll remain artistic director of the project though he has no plans yet to resign. "I love the ensemble. It's like family to me. We've really had so many incredible adventures and experiences together. And I've learned so much from my friends, and I hope, I think my friends would say they've learned a lot from me, too," he said. Much of the future depends on funding, he said. The ensemble has performed in 23 countries, and recently completed a year-long residency in Chicago. In China it will perform works from its recent album, New Impossibilities. [picture: Cellist Yo-Yo Ma. Photo Ariel Schalit/Associated Press]. O the warriors of love who don’t have time for enmity! If you only knew how many people are expecting you. New Jersey: “Dialogue iftars” were initiated in Turkey about 10 years ago. These iftars are held in the name of dialogue and take place abroad much more often than in the past. Organized in major world capitals such as London, Berlin and Washington by Turkish cultural centers or charitable foundations run by Turks, they do a great service to our country in terms of publicizing our values and the real face of our people. Most of them are organized by Turkish artisans and businessmen who volunteer to serve Turkish culture. I wrote last week that I had attended one of these iftar dinners held in Tokyo. Now I’m in the United States for the one to be held in New York and attended by Prime Minister Recep Tayyip Erdoğan. I will write later about my impressions, but today let me talk about the one held in Tokyo. Four-hundred people attended the iftar dinner hosted by the Turkish Culture Center, the Baharu Education Company, Professor Yoshiaki Sasaki from the Tokyo Foundation and Ayhan Bermek, Panasonic’s main distributor in Turkey and very well-known in Turkey’s sports world. Among the guests were Turkish Ambassador to Japan Sermet Atacanlı and new Japanese Ambassador to Turkey Nobuaki Tanaka. Eighty percent of the guests were Japanese people and there was a highly intellectual group made up of high-ranking bureaucrats, deputies, artists and businessmen. The choir from the Turkish school in Tokyo, including students from various nationalities, captivated the crowd by singing English, Japanese and Turkish songs. The İstanbul Sufi Music Ensemble, under the direction of state artist Cumhur Tülay, transported the Japanese people to a different world, or so it seemed based on their response to the performance. During the chanting of the Takbir (a proclamation of the greatness of God, to a tune composed by the great composer Mustafa Itrî) and the Quran recital, absolute silence reigned among spectators in the hall. Professor Sasaki is among the leading intellectuals of Japan. He is an expert on Turkey and Middle East and an advisor to the prime minister. I asked him to assess the atmosphere during the program. He said that it was very important for such a large number of bureaucrats and deputies to have attended the iftar program, particularly at a time of political turmoil in Japan. Whatever the reason for the gathering, deputies usually stay half an hour at most and then leave, he said. He remarked that this event was “a never-before witnessed thing in Japan” as the deputies stayed nearly three hours, until the end of the program. “They, too, are aware that the relations with Turks will be better from now on,” he noted. The most striking determination of Professor Sasaki was that Islam could be communicated to the world in the most accurate manner only through the manners of Turks. He believes that the teachings of Mevlana Rumi will be adopted by the Japanese with a higher level of receptivity since Japan is shaped by the philosophies of Shinto and Buddhism. “Those who got to know Islam firsthand at this iftar dinner saw the essence of your religion: the lovingly tolerant and benign face of it. You are demolishing walls and winning our hearts” he commented. In his *Alternative Healing: The Sufi Way* Shaykh Taner Ansari has provided Muslims, Sufis, and anyone interested in spiritual healing with a book that will be uplifting for both spirits and bodies. Readers will love the focus of the book, which is a veritable pharmacopoeia of Quranic verses related to specific ailments affecting one's spiritual and physical being. In addition Shaykh Taner has included valuable chapters containing practical guidance for purification, diagnosis, the use of the Divine Names in healing, treatment of Jinn possession, and the use of spiritual geometric designs (taweez) that have traditionally been used for healing. Finally, recipes for soups and teas that Shaykh Taner adds in an appendix complete this book that is certainly a generous cup overflowing with God's Mercy. You can visit the Qadiri-Rifai tariqa at this link www.qadiri-rifai.com (or click the title above). By Shakila Khalje - The Epoch Times - New York, NY, U.S.A. The collection of Rumi's poems called Mathnawi-e-Ma'navi (Spiritual Couplets), had a great influence on Islamic literature and thought. His mausoleum, the Green Dome in Konya, is today a place of pilgrimage for many thousands of people. The United Nations Educational, Scientific and Cultural Organization (UNESCO) has declared 2007 the 800th anniversary of the mystic poet's birth, as the International year of Rumi. Rumi is considered a Persian mystic and poet and is closely identified with Sufism and Sufi mysticism. Sufis and mystics are Muslim devotees who seek a mystical union with God. His works speak of the common origin of human beings made up of spirit, reason and love. He died in 1273 in Konya. Three years ago, Professor Ahmad Karimi-Hakkak founded the Center for Persian Studies at the University of Maryland, with the goal to help people know more about Persian language and the literature expressed in it which is wonderful and obtains universal massages. He is the main organizer of the upcoming International Rumi Conference and he gracefully acknowledges that his idea became a reality as a result of hard work and the collective endeavor of many other individuals as well as organizations. In an interview Professor Hakkak spoke about few other important reasons for spending countless hours to make this conference possible. His father's love for Rumi's poetry is one reason which takes him back to his early childhood. When he was thirteen or so, his father would trick him into reading Mathnawi because he claimed his eye sight was weak and he could not read. "It initiated this whole journey of understanding Rumi." he said. Rumi's 800th birth anniversary this year, presented yet another wonderful opportunity for Professor Hakkak to create a platform for over twenty Rumi scholars and artists. They will gather and share their knowledge and understanding of the greatest mystic Sufi of all times in a thematic manner for three days, September 28-30, 2007. This event will be held on the campus of the University of Maryland College Park, Maryland. Below Hakkak also reveals more of his ideas about Rumi's universal language. What else does this conference pay tribute to? The world needs Rumi's message so desperately now. So, more than any calendar based consideration it was this which made it relevant. It really pays tribute to the man's vision. Can you talk about the so called "Americanization of Rumi"? Americanization? Sure! It is like the "Persianization" of Shakespeare. There is not such a thing as an intact message transmitted over time. We always transform as we translate, and as such, in this case we are lucky to have scholarly as well as popular translations such as Dr. Coleman Barks who helps de-anchor Rumi's poetry, that means there is not much need of Rumi's cultural surroundings. Any time we translate we transform. There is no such thing as the Rumi of the thirteenth century, both are gone but of course every text including Rumi's poetry has two forces in it: actual, instantaneous, contemporary immediate forces and the potential for the future. It is this potential that is meeting Rumi's ideas; the need to cling to something that transcends our sectarian notions and the questions of boundaries. We need that message. Rumi was the originator of that message, although he too, must have obtained it from somewhere else, nobody works in a vacuum. Of course, our world needs these ideas. Ahmad Karimi-Hakkak is currently a Professor and Founding Director of the Center for Persian Studies in the School of languages, Literature and Cultures at the University of Maryland. [About the event, read also: http://sufinews.blogspot.com/search?q=CPS (click on the link, then scroll down)]. Mohammadreza Shajarian is to give a live performance of traditional Iranian songs during the international Shams of Tabriz convention which is to be held in Khoy, western Azerbaijan, northwest of Iran. “The event will be inaugurated in late October in Khoy and will be attended by Iranian and foreign Rumi scholars and other literary figures,” Rahim Qorbani, the general governor of Azerbaijan province mentioned during a press conference on September 20. A second convention commemorating Rumi is to be held in Tehran concurrently with the Shams congress. This will be inaugurated and held in Tehran, but it will be concluded in Khoy, Qorbani stated. Born in the city of Tabriz, Shams lived together with Rumi in Konya for several years. Shams has been immortalized in Rumi’s collection of poetry named the “Divan of Shams ad-Din of Tabriz”. Rumi’s love for him and his bereavement at his death found expression in an outpouring of music, dance, and lyrical poetry. The tomb of Shams is located in Khoy and is in the form of a 12-meter high cylindrical tower. The monument was erected by Shah-Esmaeil in the Safavid era. By Bill Sherman - Tulsa World - Tulsa, OK, U.S.A.
A Turkish Muslim group is quietly working to improve communication and understanding between Islam and the West. The Institute of Interfaith Dialog was formed in Austin, Texas, by Educator Muhammed Cetin, a Turk, who founded the nonprofit organization to promote tolerance and understanding between diverse religious groups. Among the early volunteers in the organization, now based in Houston, was another Turk, Omer Akdeniz, who moved to Tulsa in 2003 and formed a Tulsa chapter of IID. In 2004, the chapter sent a group of Oklahoma leaders to Turkey to experience that nation first-hand, and held an Iftar dinner, inviting 140 non-Muslims to join with Muslims in an after-sunset dinner breaking the daily Ramadan fast. Since then, the Tulsa chapter has held Iftar dinners annually, drawing more than 200 people from a variety of faiths, and has sent many more Tulsans to Turkey. At this year's dinner, held Tuesday night at the Renaissance Hotel, mistress of ceremonies Nancy Day, executive director of the Oklahoma Conference for Community and Justice, called Akdeniz "a Tulsa treasure." Several participants in this year's trip to Turkey shared their experiences, including Alice Blue, chairwoman of the Tulsa Human Rights Commission and wife of Tulsa Rabbi Marc Fitzerman of the B'nai Emunah Congregation. She pointed out that this year Ramadan, the Muslim lunar month of prayer, fasting and introspection, falls during the Jewish High Holy Days, also a time of prayer, fasting and introspection. Ramadan began Sept. 13. The Jewish High Holy Days began with Rosh Hashanah, the Jewish New Year, on Sept. 13, and end with Yom Kippur, the Day of Atonement, which began at sundown Friday. The concept of the Iftar interfaith dinners during Ramadan was started in Istanbul, Turkey, in 1994, by Fethullah Gulen, a Turkish religious leader who inspired the creation of IID, Akdeniz said. Gulen invited Roman Catholic, Jewish, Christian Orthodox and other Turkish religious minorities to participate in the Muslim dinner. "It was big national news in Turkey," he said. "It changed the way Ramadan is observed in Turkey. "It was unbelievable. It changed people's view of minority faith groups in Turkey. " "IID decided to bring that tradition to the United States," he said. IID chapters in 18 cities in six states held Iftar dinners this year, including in Tulsa and Oklahoma City. The cultural exchange trips to Turkey are a second key part of IID's work: nearly 500 educators, religious leaders and other Americans have been guests of IID's chapters. 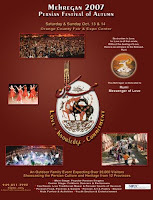 In addition to the Iftar dinners and trips to Turkey, IID sponsors cultural programs such as bringing Whirling Dervish dance troupes from Turkey to the United States, and a variety of seminars and panel discussions. The Tulsa IID chapter opened an office this year, a 4,000-square-foot, seven-room facility at 6804 S. Canton Ave. with office space, meeting rooms, kitchen, classrooms and a prayer room. It serves as IID offices and also a Turkish cultural center, offering classes in the Turkish language and Sufism. Sufism focuses on the spiritual aspects of Islam, Akdeniz said, how to get closer to God through prayer, self-discipline, humility, sincerity, and "doing all you do for the sake of God, and the love of God." One of its key leaders was the 14th century mystic Rumi, whose poetry is still popular in the United States. His followers are celebrating his 800th birthday. He was born Sept. 30, 1207. IID chapters are locally supported, and its leaders and workers are all volunteers, Akdeniz said. Some of that support comes from Muslims meeting Islam's requirement to give away at least 2.5 percent of their income. The Turkey trips are financed by a cooperation between IID in the United States and its counterparts in Turkey. By R. Scott Peoples - Bits of News - U.S.A. When the leaders don't lead, the people start following those who will. To make things worse, North Africa has a peculiar tradition – probably with pagan origins, since Herodotus mentions them – of personal mystics known as marabouts. 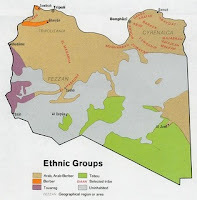 Limited pretty much to the Maghrib and West Africa (ie, wherever there's Berbers), some marabouts nonetheless gathered fervent (if localized) followings, established towns and cities, arbitrated political disputes, and, occasionally, were venerated as saints. Such was the case with named Muhammad ibn Ali as Sanusi, an Algerian with Sufi roots who had gained such a prominent reputation as a marabout that by 1830, as he made his way toward Mecca, he was honored as as Sanusi al Kabir (the "Grand Sanusi") by the towns and tribes of Tripolitania and the Fezzan. Like other Muslim movements of the time, he preached a conservative message of austerity and a return to an earlier sense of morality, but this didn't mean voluntary poverty or Sufi-type spiritual aids: adherents were expected to earn their keep through work, weren't allowed to use stimulants, and were forbade traditionally Sufi practices like ecstatic dance. To quote LoC [Library of Congress] yet again, "The Grand Sanusi accepted neither the wholly intuitive ways described by the Sufis mystics nor the rationality of the orthodox ulama; rather, he attempted to adapt from both." He tried to move the message to Mecca through the founding of a lodge there in 1837, but was run out of town a few years later due to disagreements with the Turkish rulers. He then discovered that, in the meantime, France had begun using its brand-spanking new Foreign Legion to conquer Algeria, and so the Grand Sanusi was forced to hang out his new shingle in Libya – specifically in al-Bayda, Cyrenaica, in 1843. From there, he presided over a movement that rapidly gained followers among the Bedouin tribes, where the tradition of marabouts saw Sanusi al Kabir venerated as something akin to a saint even within his lifetime, and saw the expansion of his movement to a new base at al Jaghbub, astride the caravan route to the Sudan. The Grand Sanusi sprung the mortal coil in 1859, passing the reins on to his grandson, Muhammad. He quickly moved the Sanusi capitol further south, so as to confront French ambitions in the Sudan, and through his outstanding leadership and organizational skills became so admired that he was termed "Mahdi" ("guided one;" a prophesied redeemer of Islam). He is not to be confused with the Mahdi who later gave the British the Baghdad treatment in Khartoum – Islam in the 1800s saw several claimants to the title – but he did proclaim jihad to stymie French ambitions to Libya's south, and so became the first Sanusi leader to come into direct conflict with a European power. By the time of his death in 1902, the Mahdi had united the tribes of Cyrenaica in a way that no other leader could have; a string of 146 lodges stretched across North Africa and into Arabia and the roots of a nationalist movement had been laid before the Mahdi's cousin, Muhammad Idris as Sanusi (later King Idris of Libya), came to power – though a regency run by Ahmad as Sharif on behalf of the still-too-young leader picked a disastrous fight with the French that resulted in many lodges being destroyed. Country Studies: Overview of life, history, and culture of various countries by the LoC http://lcweb2.loc.gov/frd/cs/]. Iranian setar and tar virtuoso Mohammadreza Lotfi is to give a concert in commemoration of the 800th birth anniversary of the Persian mystic and poet Molana Jalal ad-Din Rumi in London on October 28th. Tombak and daf virtuoso Mohammad Qavihelm, who has regularly taken part in musical events with Lotfi over the past 20 years, will be accompanying him in this performance, which is scheduled to be held at the Southbank Centre’s Queen Elizabeth Hall. Cosponsored by the Iran Heritage Foundation, Julius Baer (Middle East) Ltd., and the Targetfollow Group Ltd., the program will comprise Lotfi’s musical expression of several pieces of Rumi’s poetry. Lotfi, who went to the U.S.A in 1986, and resided there for 18 years, performed widely throughout Asia, Europe, and North America during that time. He returned to live in Iran in 2005 and gave a series of outdoor concerts in Tehran’s Sadabad Cultural Historical Complex this summer, June 2007. "I Wish One Day I Could Sleep and Wake..."
By Ahmed Rasheed - Reuters - U.S.A.
Baghdad: In a city riven with sectarian bloodshed, workers at a 13th century Baghdad mosque mark the Muslim holy month of Ramadan by feeding the poor and preserving a bygone spirit of co-existence. The Sunni mosque of Abdul Qadir al-Gailani feeds hundreds of people a day during Ramadan, providing an evening meal for observant Muslims who fast from dawn to dusk. And after four years of communal violence in which tens of thousands of Sunni and Shi'ite Muslims have been killed, the mosque's soup kitchen remains an oasis of tolerance. "I can't live away from the kitchen. It's my peaceful world. We Sunnis, Shi'ites and Kurds, are all living as brothers and never discuss our sect. We are all Iraqis," said Abu Saif, a Shi'ite who has worked at the mosque for more than 17 years. Alongside him was Haj Hameed, a Kurd who has cooked in the kitchen for a quarter century, and Sunni Arab employee Mahmoud al-Barazanchi. Wielding a long wooden stick, Barazanchi stirred a thick broth of lentils and chicken, cooking in a huge pot. "It's here, and only here, that no one pays attention to whether we're Sunnis or Shi'ites," Abu Saif said, breaking into tears at the mention of Iraq's violence. "I wish one day I could sleep and wake to find my country acting the same." The diversity in the kitchen is matched in the crowd of Sunnis and Shi'ites who queue, metal pots in their hands, for a generous serving of lentils, chicken and rice. In previous years the mosque had resources to prepare twice as much food, Abu Saif said, but donations have fallen away. Wealthy businessmen who used to support the Ramadan soup kitchen have fled the country and the mosque receives no aid from the government. In another change, food for the evening meal is distributed at 2 p.m., five hours before the prayers which mark the end of the daily fast, because few people feel safe on the streets in the evening. "Before, Ramadan was full of joy and blessings. We used to take food and break the fast inside the mosque in groups. But now we fear car bombs and killing and we rush to take the food back home," said Umm Mohammed, waiting patiently in line. The mosque is famed as the burial place of Sufi Sheikh Abdul Qadir al-Gailani, and a dome built by Ottoman Sultan Suleiman the Magnificent still stands in the mosque complex. But outside, the minaret bears the scars of Baghdad's recent turmoil. Scaffolding covers its top and broken concrete and rubble surround the base, still not repaired after a May truck bombing outside the mosque. [picture: View of new street Baghdad from North Gate. ArchNet Image ID: IRQ0048 / Photograph Date: circa 1925 / Medium: B & W print / Photographer: A. Kerim / Copyright: Reproduced with permission of the Fine Arts Library of the Harvard College Library / Source: Fine Arts Library, Harvard College Library]. The iftar -- the evening fast-breaking meal in the Muslim holy month of Ramadan -- was organized under the auspices of 21 US congressmen, and five members of the US Congress were among its guests. The keynote speaker was Professor Ekmeleddin İhsanoğlu, secretary general of the Organization of the Islamic Conference (OIC). İstanbul's Armenian Patriarch Mesrob II (Mutafyan) and US Greek Orthodox Archbishop Demetrios were guests of honor at the event. The host of the program was Brenda Bearden, an instructor at Georgetown University. The event was organized at the Cannon Caucus, one of the most prestigious rooms in Congress. The event started with a prayer from the chaplain of the House of Representatives Reverend Daniel Coughlin, followed by the Muslim evening prayer, which was broadcast on a screen with English subtitles. The participants started off eating dates, in line with the Muslim tradition for breaking the daily fast. The guests showed great interest in the video clip for the “Song of Brotherhood,” sung by Turkish folk artist Mahsun Kırmızıgül and shot in the southeastern city of Mardin. A group of Afghan performers sang songs with lyrics from 13th century Sufi Saint Mevlana Muhammed Jelaluddin Rumi, the founder of the Mevlevi Sufi order. Works of a Turkish ebru (paper marbling) artist were on display on the Congress halls. Congressmen Wayne Gilchrest (Maryland), Keith Ellison, Betty McCollum (Minnesota), Nita Lowey (New York) and Holt (New Jersey) attended the dinner while House Speaker Nancy Pelosi was represented by her assistant Mercedes Salem. Turkish Ambassador to Washington Nabi Şensoy, Egyptian Ambassador Nabil Fahmy, Eritrean Ambassador Ghirmai Ghebremariam and Mauritian Ambassador Kailash Ruhee, as well as diplomats from the Israeli, Indian, Ukrainian and Singapore missions in the US, attended the iftar. Justice and Development Party (AK Party) deputy Suat Kınıkloğlu, Yeni Şafak columnist Fehmi Koru and Radikal columnist Murat Yetkin were among the guests from Turkey. Millions have found a home in religion in the context of the West's confrontation with the Arab and Islamic worlds. The crisis, or assimilation, of secular Arab nationalism has contributed to the rise of political Islam. Does this signal an end to the Arab project of building civil-oriented states, or can politics be melded with moral and ethical concerns without becoming a pawn of religious fervour? Instead of bringing politics into religion, we should consider bringing moral and ethical values into politics. Many intellectuals hold that the Eastern mentality in general is more inclined to the spiritual than to the abstract philosophical. But the distinction between spirituality and philosophy is a rather spurious one in that over the course of history the two have been so closely intertwined that the attempt to separate one from the other inevitably results in a failure to comprehend both. Islam is a single indivisible "text", but it has given rise to numerous and diverse interpretations and exegeses which, when translated into human actions and attitudes, have yielded a broad spectrum of behaviour ranging between the antithetical extremes of "revolutionary dissident" and "Sufi recluse". Religion, even in its most ritualistic sense, creates a set of values that become an integral part of the worshipper's self and shapes his awareness and perceptions of the world around him. Thus the gateway between the religious and the political is wide open. The worlds of politics and religion share several common traits, among them ambiguity, diversity, interconnectivity, fluidity and dynamism. They both combine material, moral and structural elements and are closely connected. Religion imparts moral values, which are essentially social values; it functions to regulate society through conventions of rites and rituals and the codification of the divide between right and wrong; and the religious establishment plays a vital role as a conduit for social advancement in societies that accord a special status to religious culture. Some people turn to religious fanaticism as a refuge from odious social realities. For them, religious fanaticism is a defence mechanism against oppression, frustration, fear and all the attendant anxieties and tensions arising from the inability to face the demands and pressures of reality. Too weak or downtrodden to take reality face-on, they withdraw from the realm of ordinary life, wrap themselves in the comfort and security of religious fervour and begin to carve out for themselves a new role that will no longer leave them marginalised, a role that evolves into a new constant in the dynamics of society. Their relationship with society can be either assimilative, which when taken to the extreme means that the one must absorb the other, or adversarial, which when taken to the extreme means that the one must exclude and ultimately try to eradicate the other. Both patterns are a manifestation of mankind's interest in the phenomenon of religion and an affirmation of the perpetuity of this phenomenon, even if contextualised against the entrenchment of structures of political corruption and class exploitation, as religion was for Karl Marx, who could not ignore how it functioned ideologically as a social regulator. If religion is a moral/ideological calling with an expectation of moral commitment and dedication, these concepts also underlie politics. Politics, in its broadest sense, is about power, and power entails an expectation of commitment, submission and deference to a higher will. Like religion, it also entails rules to regulate its practice and to ensure conformity. Thus religion, in part, regulates a metaphysical relationship, and politics, in part, regulates a civil relationship. 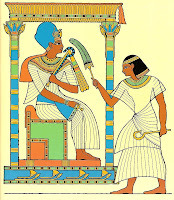 As fundamental a difference as this might be, the two are nevertheless connected by virtue of their need for human organisation, and this connection has imposed a permanent relationship between the two that has been evidenced in all societies and civilisations without exception. Religion has always influenced politics and served as a platform to stake out a political presence, and power has always striven to use religion as a means to ensure cohesion and loyalty. In Arab society, religion, in the form of politicised religious movements, has played a prominent role as an engine of social and political change. Religion, at least according to some, has also left its imprint on the processes of ideological obfuscation, false consciousness and the flight from reality used to entrench class discrimination and to legitimise tyrannical regimes. Neither of these antithetical phenomena derives from Islam as it was originally revealed, but rather from the interpretations of Islam by individuals and groups for whom the religious text becomes entwined with a complex social fabric made up of diverse interests, desires and conditions. Whether religion is a vehicle for change or for repression is a subject of considerable controversy. My intent here is not to analyse or pass judgment on either of these positions, but rather to underscore the fact that by merely positing views on the positive or negative influence of religion on society affirms the close connection between religion and politics. As for the relationship between the religious establishment and the legitimacy of the political regime, it varies in accordance with the nature of that establishment and the diversity of its activities. Generally, it is in the nature of official religious establishments to promote the values and political trends espoused by the regime. Conversely, it is in the nature of unofficial religious establishments to propound new or alternative values, opposed to those espoused by the regime and that may have the potential to threaten its stability and perpetuity. Aware as they are of the power of the religious establishment and its influence on political awareness, ruling elites have frequently co-opted that establishment with an eye to transforming its podiums into political schoolhouses in which people can be inculcated with ideas and modes of behaviour that serve the interests of the regime, simultaneously with an eye to preventing oppositional currents from using the same podiums for opposite reasons. In order to prevent religion from being exploited in this manner -- from being manipulated to justify certain forms of political behaviour or from its being stripped of its sanctity and glory and reduced to a mere ideology -- perhaps we should contemplate "religionising" politics, as opposed to politicising religion. In other words, we should explore the possibility of giving politics a moral framework, as did some Muslim political philosophers in the past, or as Kant did in Western political philosophy. It is important to stress, here, that such a moral framework must not exploit religion as a political tool, which demeans its sanctity and reverence and which would also constitute duping a naturally religious Egyptian public. "Religionising" politics becomes a viable alternative when it signifies placing the latter within a moral and ethical framework inspired by religious beliefs or even by beneficial traditions and conventions and when used to refine the practice of politics and to eliminate hypocrisy, fraud and deceit. Indeed, such an alternative remains one of the quests of political science. The politicisation of religion, on the other hand, must be rejected in no uncertain terms. To mix religion with the practice of politics is harmful to both, because ultimately it produces new and multifarious shades of deleterious tampering with people's interests and minds, because it opens the path to religious demagoguery that obscures the objective assessment of reality, and because it permits a group to advance its own claims and interests in the guise of an absolutist dogma. The writer is director of the Middle East Studies and Research Centre, Cairo. The small and quiet town of Ubud, long known as Bali's cultural capital, will turn into a bustling metropolis next week as the Ubud Writers and Readers Festival (UWRF) 2007 commences its literary celebration. Over 80 writers from 18 countries across the globe have confirmed their participation in the annual event, ensuring the gathering will be a rich tapestry of different voices, distinct styles and diverse views. "I believe that the ability to share different thoughts, to interact with writers from various cultural and geographical origins, and to have an intimate communication amid the beautiful, refreshing atmosphere of Ubud is one of the festival's strongest charms," festival director Janet de Neefe said. The festival committee has also organized six community programs, aimed at increasing the awareness and participation of the local community in the literary gathering. "The programs include the off-Ubud seminar and poetry readings, which will be held at the Udayana University campus and the Balai Bahasa auditorium in Denpasar. We have invited high school students, teachers and local writers to participate in those events," the festival's community development manager, Kadek Sri Purnami, said. "Greater community involvement has always been our top priority. We believe that at the end of the day, it is the people of Ubud, as a community, who should shoulder the responsibility of being the true custodians of this event," Saraswati Foundation chairman Ketut Suardana said. The foundation has been the sole organizer of the festival since its beginning. "The fact that this year's festival will be held at 32 venues across Ubud and that a large majority of our 100 corporate and individual sponsors come from Ubud, is an obvious sign that the festival has moved along the right path to be a community-based event," he said. The community programs will be capped off by two public events in Ubud. On the night of Sept. 29, a concert will be held at the Ubud soccer field. It will feature Nanoe Biroe, arguably the most popular and most influential Balinese pop singer. The following day, a tribute to the 13th century Persian poet, Rumi, will be held at the ARMA museum. Organized to commemorate the 800th anniversary of Rumi's birth, the event will include poetry readings from Mustofa Bisri, Sujiwo Tejo, and Iman Mersal, along with performance of Whirling Dervish devotional dances and Sufi music. "Hopefully, UWRF 2007 will be a festive event for the writers, the readers, and, most of all, the people of Ubud," he said. For more information see www.ubudwritersfestival.com or call festival manager Finley Smith on 081337098915. By Sharon Letts - Times-Standard - CA, U.S.A.
”When I look into the eyes of children in Afghanistan and Pakistan, I see my own children. -- Greg Mortenson, founder and executive director of Central Asia Institute. Rabia Sher of Arcata is planning on collecting pennies -- a lot of them. For she knows the true value of the copper currency that many Americans consider a nuisance. Pennies for Peace is an international campaign developed by the Central Asia Institute. The campaign is focused on raising the awareness of children all over the globe about the need to help others. The program also builds schools in both Pakistan and Afghanistan. Sher initially saw a need for improving economic growth through educational training while visiting Pakistan in 2000. Since that trip, she has been working to enlighten people to the plight of the Pakistanis, first opening the Roshni Center for Women -- a place that helps young women learn skills, such as sewing. Sher's latest crusade is the Pennies for Peace campaign, as well as a letter-writing project involving schoolchildren. The Central Asia Institute was established in 1996 after Mortenson made a trip up K2 -- the second highest mountain in the world --and after a stay in the northern mountain village of Karakoram in Pakistan, where he saw a need and was compelled to help the children there, with a bigger picture of global peace. But to get that education, she said, the simplest needs must be met -- like owning a pencil. The penny, or 1 percent of a dollar, represents the 1 percent of a gross domestic product goal set by the United Nations in the 1970s (www.bea.gov ). The goal was for wealthy countries to give foreign aid to impoverished nations on a yearly basis. Rabia Sher is now bringing Pennies for Peace to Humboldt County -- one school at time. The program involves children dropping pennies into a jar in the classroom. Sher has also created a pen-pal program, which will encourage local children to write letters to children in northern Pakistan. The pen pals and the Pennies for Peace campaign are two separate projects for Sher. She said that the pennies gathered will go to the Central Asia Institute and will be put toward the building of schools, while the letters are a more personal goal that Sher feels will enrich the lives of the children. Grant Elementary School has joined in the campaign, and third-grade teacher Carol Goodwyn is just one of the teachers involved in both Pennies for Peace and the pen-pal program. ”Very few people actually hand-write letters today,” Goodwyn said. “Many of the children are very interested in writing letters to children their age in another country.” Starting friendly letter writing also fits in our core curriculum and with the California state standards for third grade. As for the Pennies for Peace campaign, Goodwyn said the school is already off to a good start. Grant Elementary School Principal Bill Cannady said he's happy to be a part of both campaigns, which, he said, follow the school's philosophy. A book containing Rumi’s “Divan of Shams” illustrated by Iranian artists is to be published by the Academy of Art in October. Compiled by Mehdi Hosseini, the book contains 50 illustrations by contemporary artists and will be published to commemorate the 800th birth anniversary of Rumi. The text will be written by the calligrapher Sedaqat Jabbari and it will also contain English and French translations. L’ensemble marocain Ibn Arabi fait escale au Caire, animant deux concerts à l’occasion du Ramadan. Emanation soufie et spiritualisme en perspective. The Moroccan Ensemble Ibn Arabi will stop in Cairo and animate two concerts during the month of the Ramadan, within the framework of the Festival of Euphrate in Guadalquivir. Sufi emanation and spirituality are awaited. The Festival of Euphrate is organized by the Funds for the Cultural Development, the Embassy of Spain and the CFCC and whose objective is to celebrate the holy month by arabo-Andalusian melodies. With this intention, they invited the group Musica Antigua which draws from the Spanish medieval music (Islamic, Jewish and Christian), the Iraqi lutist Nassir Chamma who is inspired in some by his creations by the Andalusian culture and the Moroccan Ensemble Ibn Arabi. Originating in Tangier (Morocco), the members of the ensemble attended as of their youth the sufi songs of samaa (hearing), specific to the rites of the Seddikiya Brotherhood of the Shaykh Abdel-Aziz Seddiq, and to which they are still affiliated. Why thus the poet Ibn Arabi? Because the unit draws in fact in the texts and in the writings of this great Master of Sufism, the Shaykh Al-Akbar Moheïddine Ibn Arabi (1165 - 1240). They attempt to translate his mystical spirit in the music they play and they sing his verses. Qur'an reciting is also part of the Ibn Arabi Ensemble's repertoire, as well as the songs of the praise of God and His Prophet, evoking the world of the dervishes and their rites in the zikr meetings. tables of Toah and script of Qur'an. her camels, that religion my religion is, my faith. and September 25th, 9.30 pm, at CFCC Mounira, with all the Festival's musicians. Director General of UNESCO, Koichiro Matsuura, presented the Rumi commemorative medal to Ahmad Jalali, Iran’s former UNESCO ambassador in Paris on September 6. Ahmad Jalali is currently head of the Majlis [Islamic Consultative Assembly] library, museum, and documents. Ehsan Shokrollahi, head of the Public Relations Office of the Majlis library told MNA that it was Ahmad Jalali who proposed in 2006 that UNESCO issue a commemorative medal in honor of Rumi. Shokrollahi said that the proposal was approved by UNESCO and the medal was presented to Jalali at the celebration ceremony of the 800th anniversary of Rumi in Paris. Shokrollahi added that Jalali had been awarded the medal for his work as president of the 31st session of UNESCO’s general conference and for his great endeavors to introduce the thoughts and beliefs of Rumi to the world. The reconstruction process of the mosque adjacent to the holy shrine of famous Sufi saint Hazrat Sheikh Noor-ud-din Noorani at Charar-e-Sharief that was gutted in a major fire in 1995 is on with over Rs 26.07 crore required to complete the works. The additional works include the provision for ornamental cage work, wood carving, Khatamband ceiling, panelling, provision for central heating system, development of area in and around the shrine and 'Khankhah', the sources said. An amount of Rs 475 lakh has been spent till July and the dateline for completion of the first phase is august 2009 subject to availability of sufficient funds, the sources said. [picture from: Kashmir Hub http://www.kashmirhub.com/pilgrimage-destinations-in-kashmir/pilgrimage-destination-charar-e-sharif.html]. Abdolhossein ['Abd al-Husayn] Zarrinkub was a prominent scholar of Iranian literature, history of literature, Persian culture and history. He was born on March 19, 1923 in Borujerd, Iran, received his Ph.D. from the University of Tehran in 1955 under the supervision of Badiozzaman Foruzanfar, and has held faculty positions at prestigious universities such as Oxford University, Sorbonne, and Princeton University, among many others. Due to his pioneering works on Iranian literature, literary criticism and comparative literature, he is considered as the father of modern Persian literature. He died September 15, 1999 in Tehran. Zarrinkub’s solid research works made him a world class Iranologist and scholar of Persian literature. He was known for his extreme precision and solid works. He was the author of dozens of books in Persian, French, and English, and has published hundreds of articles. Some of his more famous works in English are: “The Arab Conquest of Iran and Its Aftermath”, “Persian Sufism in Its Historical Background”, and “Nezami, a Lifelong Quest for a Utopia”. Zarrinkub boosted comparative literature and Persian literary criticism. His book entitled “Naqd-e Adabi” (Literary Criticism) is a classic book on Persian literary criticism. Zarrinkub is also known for his profound research on revered Iranian mystic and poet Molana Jalal ad-Din Rumi and his works. 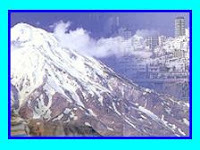 Zarrinkub’s “Mystery of the Reed Flute”, and “A Sea in the Jug” are critical and comparative analysis of Rumi’s Masnavi. “Step by Step to a Meeting with God” is also a work he carried out on the same line. Zarrinkoub’s research works on Hafiz and Persian Sufism resulted in several books: “In the Rends’ Alley” and “On the Value of Sufi Heritage” are a few examples. Zarrinkub’s classic book entitled “Two Centuries of Silence” is one the most reliable sources on the history of Persia after the advent of Islam. Zarrinkub also published seminal articles and a few books on Islamic history. By Francy Marcotte - Arbiter Online - Boise. ID, U.S.A.
On Saturday, Sept. 15, the Boise State University Philosophy Department will present “Rumi: Bridge to the Soul,” an evening dedicated to the 800th birthday of Persian Scholar and Poet Maulana Jalal’an-din Balkhi Rumi. Rumi is regarded as one of the most loved poets in America, often preferred over William Shakespeare. His poems speak of love, unity, mysticism and self-improvement in simple, yet profound verses. Barks emphasizes Rumi’s ability to reach out to a variety of people. “Rumi is a bridge in two ways. He’s a bridge between religions and cultures and between the individual’s practice and soul to get back to the core of one’s identity,” said Barks. Peter Hodges, a Boise State Philosophy instructor who produced the event, also praises Rumi’s ability to reach inside the individual. “Rumi’s poetry is boundless and bewildering as it expands the attention inward to the evolution of the soul’s growth where one becomes an overwhelming joy in the garden of union,” said Hodges. [Buy at The Sufi Book Store http://astore.amazon.com/wilderwri-20]. The Economist - London, U.K.
Nawaz Sharif, a former prime minister of Pakistan, landed in Rawalpindi on September 10th with his head bowed in prayer and his supporters erupting around him. He was back from a seven-year exile to challenge Pervez Musharraf, an army coupster who had toppled and imprisoned him. “Go, Musharraf! Go!” screamed his retinue as Mr Sharif's plane rumbled to a halt. But four hours later it was Mr Sharif who was on the move. In the airport's VIP arrivals lounge he was charged with corruption, arrested and deported to Saudi Arabia. It was almost certainly what he had expected. During the flight, Mr Sharif made many bold promises: to wage a “final battle” against military dictatorship, bring “undiluted democracy” to Pakistan, and so forth. He is not the first Pakistani politician to have promised these things. Indeed, as a political drama, his homecoming was squarely within Pakistani tradition. Radical opinions are casually expressed in Pakistan, by members of the English-speaking elite as well as the Urdu-speaking masses. But even with Machiavellian help from the intelligence agency, the MMA [Muttahida Majlis-e-Amal, an alliance of Islamist parties previously allied with the general] won only 11% of the vote in 2002. In the coming election, if they participate, they may do better. Nonetheless, except for the stringent Pushtuns, most Pakistanis are moderate. Last week in Sehwan, a town in central Sindh, half a million Sufi pilgrims gave a demonstration of this fact. They are followers, like most Pakistanis, of the heterodox Barelvi school of Sunni Islam. And so they whirled, chanted prayers and blew kisses to celebrate the 755th anniversary of Lal Shahbaz Qalandar, a Sufi saint. If only the mortal world of international relations were so far-sighted. But it is not. That is why, even as General Musharraf's popularity plummets, America is stoutly backing him. The general's campaign in north-western Pakistan may be disastrous, but America has no better idea of how to quell the mayhem there. Indeed the campaign is, more or less, according to an American design. General Musharraf invaded the tribal areas at America's urging. America is closely involved in prosecuting the campaign, especially at an intelligence level. After all, it is paying for it. In the past five years, America has swollen General Musharraf's coffers with an estimated $10 billion. The most alarming aspect of the current political crisis, is that no Pakistani leader seems to be genuinely popular. Even if General Musharraf had not locked up the [Pakistan Muslim League (Nawaz) party ] PML-N's leaders, it is doubtful they could have produced much of a multitude to greet Mr Sharif. Ms Benazir Bhutto, [leader of the Pakistan People's Party (PPP) and another exiled prime minister] who said she would announce the date of her return on September 14th, might fare better. But she would be most unlikely to draw the adoring hundreds of thousands who welcomed her after her last return from exile, in 1986. For Pakistan's other crisis, Islamist-stoked insecurity, there will be no ready solution. Pakistani Pushtuns may stay on the warpath as long as foreign troops remain in Afghanistan. They always have before. And if Islamist militancy is to be a fixture in Pakistan, America should worry about where Pakistani allegiances may be heading. General Musharraf will not worry about this. He wants to cling to power, and he has two options. First, he can seal a deal with Ms Bhutto. So long as there is no popular backlash against Mr Sharif's ejection, especially by the country's lawyers, who provoked mass protests against General Musharraf earlier this year, she may agree to this—provided the general sheds his uniform by early next year at the latest. He is reluctant to do so. There is a notion, dear to America, that General Musharraf could be a strong civilian president, overseeing the prime minister and the army. But there is no history to support this belief. The army, and it alone, is General Musharraf's constituency and the source of his power. By stripping himself of its uniform he reasonably fears that he would be an emperor without clothes. His alternative is to go it alone. He already has a simple majority in Parliament, which is sufficient for a presidential re-election. Without the PPP, he will not have the two-thirds majority necessary to make constitutional changes. In effect, that means that if his re-election were challenged on legal grounds—as it surely would be—General Musharraf would be at the mercy of the Supreme Court. On recent form, the judges might rule against him. If so, General Musharraf would probably then declare martial law. This would allow him to re-run the events that followed his 1999 coup: he would gut the Supreme Court of dissidents, ask the remaining sycophants to rule on the legality of his suspension of democracy, then hold elections. So long as a fair portion of the opposition participated in these, they would probably pass muster with America. But how would Pakistanis respond? The name of Lal Shahbaz Qalandar, that Sufi saint, is linked in Pakistan with both unshakeable tolerance and unrestrainable agitation. A famous Urdu poem, “The complete intoxication of Qalandar”, explores this duality. But in real life, alas, there can be no such co-existence. Article background: Pervez Musharraf, an army general, seized power in a bloodless coup in 1999. Two years later he promoted himself from “chief executive” of Pakistan to president—though he refuses to honour his promise to quit the army. In February 2007 he announced plans to have the parliament re-elect him to another term before dissolving it later in the year, ahead of elections that his party might need to rig to win. A worrying surge in Islamic militancy, beginning in western Pakistan and now spreading throughout, led to the deaths of 300 people in clashes and suicide-bombings in July 2007 alone. General Musharraf's struggle to hold on to power in the face of such challenges has emboldened former prime ministers. One, Benazir Bhutto, has been trying to cut a deal with the general; another, Nawaz Sharif, returned to Pakistan from exile—for all of four hours—on September 10th. By Kabir Helminski - The American Muslim (TAM) - Bridgeton, MO, U.S.A. There should be little doubt about it: we have arrived at a defining moment for the human race. Science is telling us that Nature, the web of life on which we depend, is suffering from fever and infection, that the current industrial consumer society is a virtual cancer killing its host, the planet we live on. People everywhere are waking up to this fact; the means may even be available to do something about it, but we seem to lack the strong will needed, especially in the form of clear political leadership, to quickly change our unconscious, wasteful, and selfish ways. The question arises: What is the significance of Sufism in what could be the last minute of the last hour of human life on this planet? If we restrict our attention to issues of past centuries, ignoring the moment in which we live, we will have ignored the application of traditional wisdom to the realities of our lives. If we allow Sufism to be only an esoteric past time, a private, academic, or sentimental preoccupation, we will have failed in the necessary Work. There are politicians who try to manipulate and control us with the fear of terrorism. Many business and corporate leaders obsess about the economy, focused on short term profits. Too many advertisers, oblivious to environmental degradation, attempt to hypnotize us with desires. Having recently viewed Leonardo diCaprio’s “The Eleventh Hour,” the global environmental crisis is much in our minds. The film’s strength is that it graphically and convincingly presents the problems of our world ecological crisis and offers some hope for solutions. Its weakness is that it presents humanity in purely scientific terms, as just another species, and a latecomer to the world at that, and yet a species with an enormous propensity for destruction through our technological powers. Perhaps not enough people would accept the spiritual significance of nature and the role that human consciousness and love must play in our own physical and spiritual survival. Perhaps the global crisis must be portrayed in these merely scientific terms because few know how to present the spiritual perspective without devolving into sentimentality and sectarian beliefs. But the crisis we are in is the result of a state of mind that sees the physical world in quantitative, scientific terms. Much of the world has lost the idea of nature as sacred, as the “Book of God,” and as a necessary source of spiritual healing. Yet we are all essentially spiritual beings longing for real connection with each other, for some core experience of truth we can trust, and for a sustainable and truly human way of life. To say that the human being is “the crown of creation” is not to claim the right to exploit nature for our own purposes. To say that we are made in the image and likeness of God is not to deny that we have an intimate and integral connection with the natural world. Human consciousness is something of profound value and significance on this planet and to lose it will not be to lose just another species, but to diminish the possibilities of the Divine in Nature. Sufism matters because it grasps the Oneness of existence and recognizes the interdependence of Life. It understands that all levels of reality form a coherent and compassionate whole. Sufism matters because it understands that the human being has a unique responsibility as servant (`abd) and caretaker (khalifah) within the realm of nature. Sufism matters because it offers a profound understanding of the tangle of human egoism (nafs) and how it can be transformed into servanthood by Love. Nothing less is needed today. It is now a matter of spiritual and actual survival. [Kabir Helminski is a Shaikh of the Mevlevi order and Director of the Threshold Society. [About The 11th Hour (movie) visit http://us.imdb.com/title/tt0492931/]. La Radio Nationale a préparé, pour le mois sacré du Ramadan, un programme d'émissions en harmonie avec l'atmosphère de recueillement et de spiritualité qui règne en cette période. The National Radio of Morocco prepared, for the holy month of Ramadan, a programme of broadcasts in harmony with the atmosphere of meditation and spirituality which reigns in this period. On the national and international broadcasting stations, in Arab language, the religious bouquet proposes broadcasts entitled “Al Madih Nabaoui” (Praises to the Prophet -pbuh), “Qabas min Al-Qor' year” (Gleam of the Qur'an), “Raka' iz Al-Islam” (Bases of Islam) and “Rihab at-Tassawouf” (Space of Sufism). [Visit the National Portal of Morocco (in French) http://www.maroc.ma/NR/exeres/7A2676FB-F4C3-4378-993B-DFA5DBCBF1E4.htm]. The first festival of illustrations of Persian literary masterpieces focusing on the works of Rumi will be held at the Niavaran Cultural Center from November 21 to 30. The gala will be showcasing illustrations on the theme of Persian literary masterpieces, the secretary of the gala, Kianush Qaribpur announced during the press conference at the Iranian Artists’ Forum on September 12. The event will comprise a children’s section which will focus on illustrations of stories from Rumi’s Masnavi and there will also be a section featuring artworks on the theme of the Divan of Shams. The festival is being sponsored by the Children’s Book Council of Iran, the Iranian Women’s Artists’ Forum (IWAF) and the Iranian Association of Children’s Book Illustrators. The festival’s winning artworks will be showcased at the Iranian Artists’ Forum from December 8 to 13, deputy of the gala Maziyar Rezakhani announced during a press conference. “Turan Mirhadi, Karim Nasr, Behruz Gharibpur, Atieh Markazi and Navid Barzargan are among the members of the gala’s jury. Winners will be awarded at the closing ceremony which will be held on November 27 at the Niavaran Cultural Center,” Rezakhani added. [Visit the Iranian Association of Children’s Book Illustrators http://www.cibi.ir/web/defaulte.aspx]. By Nora Valenzuela - Persian Mirror - Irvine, CA, U.S.A. This two-day outdoor family event, is a showcase of many aspects of Persian culture including art exhibitions, traditional Tea house, music, folk dances, crafts, ancient sports, live performances, pop entertainers, movies, children’s activities, exotic food and different provinces of modern Iran. Close to 20,000 people attend Mehregan each year which provides great sponsorship opportunities for the business community. Un segno di speranza nella travagliata isola di Jolo (Arcipelago delle Filippine), luogo di conflitto e vaste operazioni militari: nasce un nuovo Centro "Silsilah", per l’armonia islamo-cristiana. A sign of hope in the troubled island of Jolo (Archipelago of the Philippines), place of conflict and huge military operations: a new "Silsilah" Center is born, for the Christian-Islamic harmony. Born in 1984, “Silsilah” -a mystical sufi word for "Chain"- has developed in the years the style of “life in dialogue”, first creating, near Zamboanga on the island of Mindanao, the “Village of harmony”, where Christians and Muslims, living a common life, offer a concrete example of solidarity, respect and mutual fraternity. [picture: Jolo, Town Centre. Photo from: Centre for Humanitarian Dialogue http://www.hdcentre.org/Philippines%20MNLF%20-%20Photos]. Organisé par le Centre national de recherches préhistoriques, anthropologiques et historiques (CNRPAH), le colloque international sur "Soufisme, Culture, Musique" dans sa quatrième édition a bouclé ses travaux hier à la salle de conférences du ministère de l’Energie et des Mines à Alger. Organized by the National Center for Prehistoric, Anthropological and Historical Research (CNRPAH), the international conference on "Sufism, Culture, Music” in its fourth edition closed its works yesterday in the room of conferences of the ministry for Energy and the Mines in Algiers. Several researchers from Turkey, France and Lebanon, inter alia, intervened during this three days meeting on the spirit of Sufism in its historical, cultural and spiritual dimensions. and the meaning of the Arab term "tariqa" as “the way for the routes towards God, the spiritual method on the way and the Sufi Order as an organized and institutionalized group” by Prof. Masatoshi Kisaichi -Japan. UNESCO has been organizing, since the beginning of the year, a large number of events in honor of 2007, the Year of Rumi, declared to mark the 800th birth anniversary of Mevlana Muhammad Jelaluddin Rumi. The most recent of these events took place on Sunday in Tajikistan, a neighbor of Afghanistan where the great Sufi saint, known as the Pole of Lovers of God in Sufism, was born in the city of Balkh. At the international conference held in the Tajik capital of Dushanbe, Mevlana Rumi’s teachings based on love, peace and loving tolerance were once again discussed and voiced by intellectuals from different religions. At the conference attended by nearly 100 academics from 27 countries including Turkey, the United States, Russia, Iran, Austria, Germany, Azerbaijan, France, Egypt, India and Japan, it was strongly emphasized that the teachings of the great Sufi saint were of vital importance in the resolution of the problems stemming from prejudices, lack of information and ignorance at a time the world was in utmost need of tolerance and love among religions and civilizations. The opening speech of the conference, entitled “Mevlana and Intercivilizational Dialogue” and organized in cooperation with the Academy of Sciences of the Republic of Tajikistan (ASRT), the Platform of Dialogue Eurasia and Şelale Educational Institutions, was delivered by the president of Tajikistan, Imamali Rahman. “He was born in Balkh, lived in Konya but belongs to the entire world,” Rahman said and stated that many conflicts of the day could be resolved through his inspirational love. Mevlana wrote centuries ago the prescription for a happy life according to which people should live, Ribakov said, and stressed that humanity had to benefit from the works of the great Sufi saint in order for love, peace and respect to prevail in the world. In the final declaration of the conference, it was stated that the whole of humanity needs the teachings of Rumi in order to resolve intercultural problems, that humanity has to benefit from his ideas to help establish a stronger world peace, that his advice about understanding and knowing the world while claiming one’s own identity and values are the most consistent attitude in comparison to some activities in the Islamic world that establish themselves in the center and that are based on not having a distinctive identity. Mevlana Rumi’s teachings don’t belong only to the academic and mystic world; they should be introduced to the world at large, said the declaration. 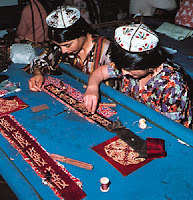 [picture: Women embroider cloth in a workshop in Dushanbe, Tajikistan. Online Photograph. Encyclopædia Britannica Online.